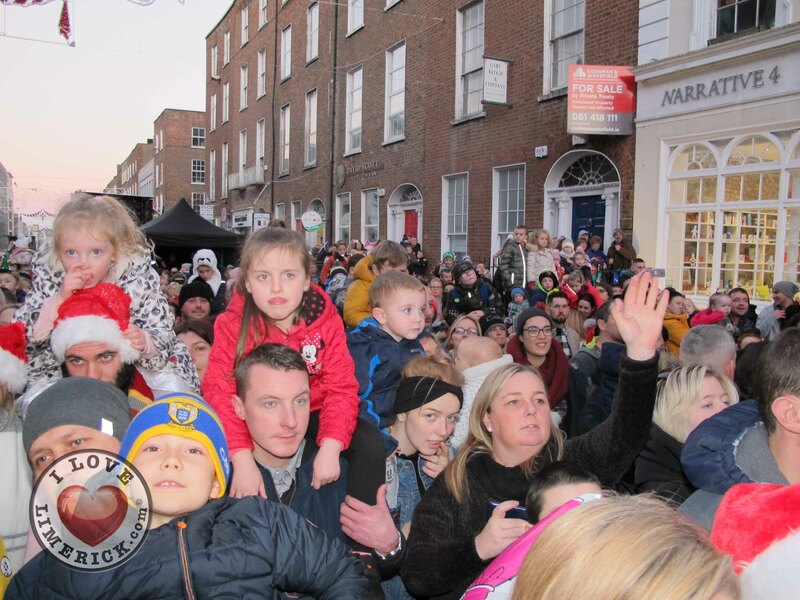 Garda estimates of just over 20,000 people, at this year’s Light Up Limerick ceremony. 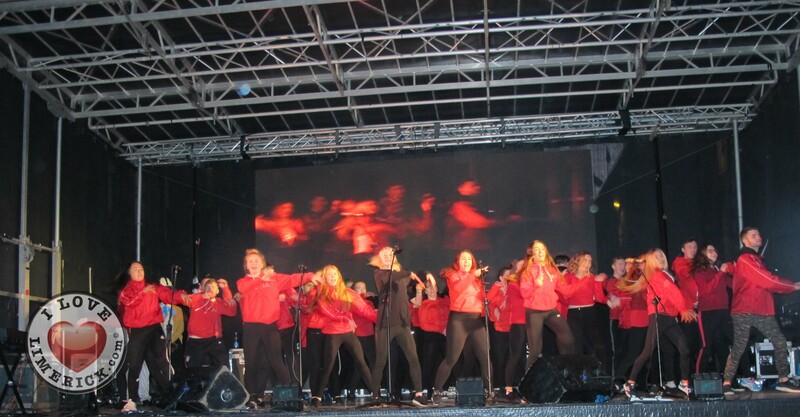 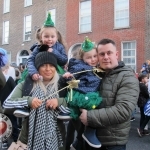 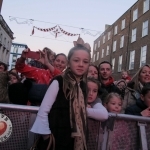 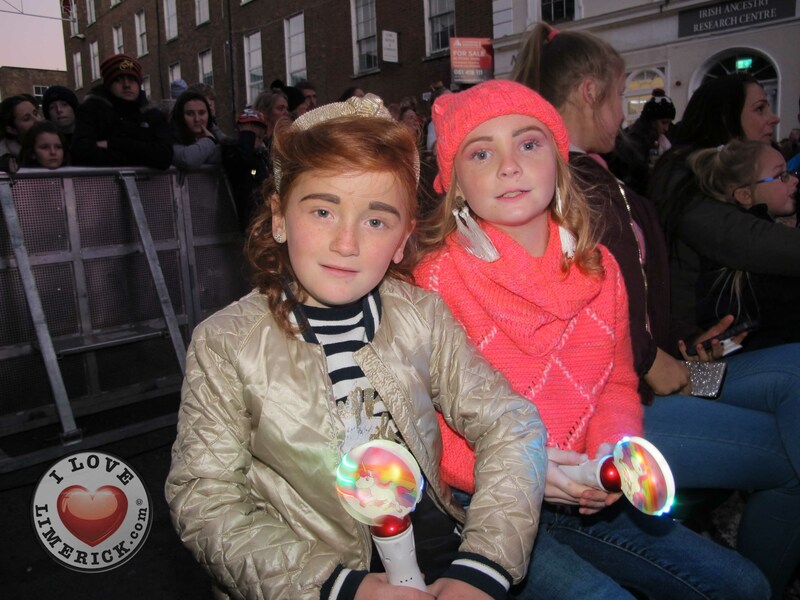 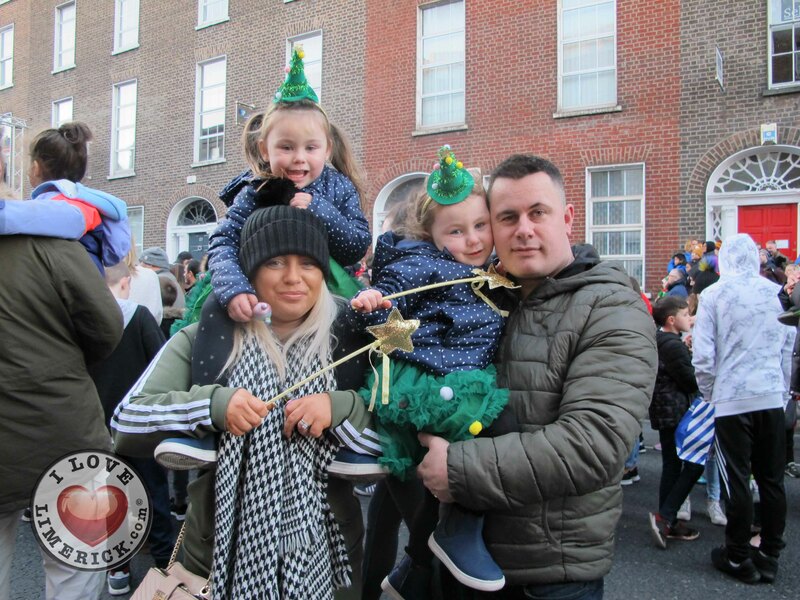 Families from across Limerick, turned out at the heart of O’Connell Street on Sunday evening for the official turning on of the city’s Christmas Lights launching Christmas in Limerick 2018. 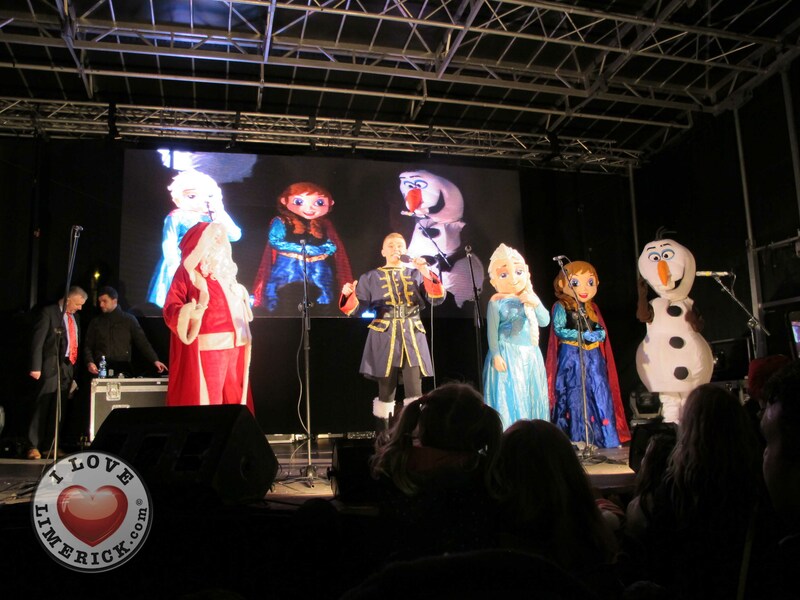 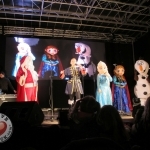 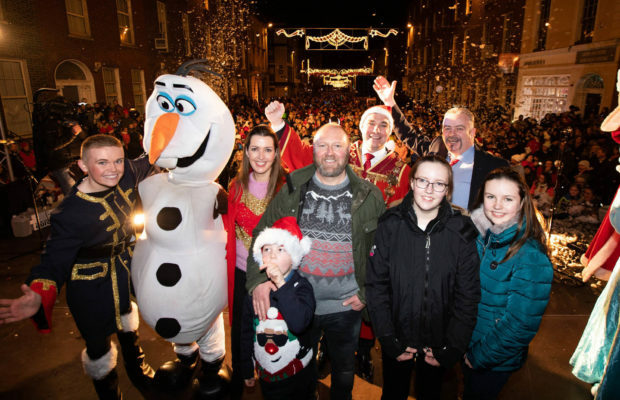 Special guest of honour, Vicky Phelan and her family along with Anna, Elsa and Olaf from Frozen joined Mayor of the City and County of Limerick Cllr James Collins at the Light Up Limerick ceremony. 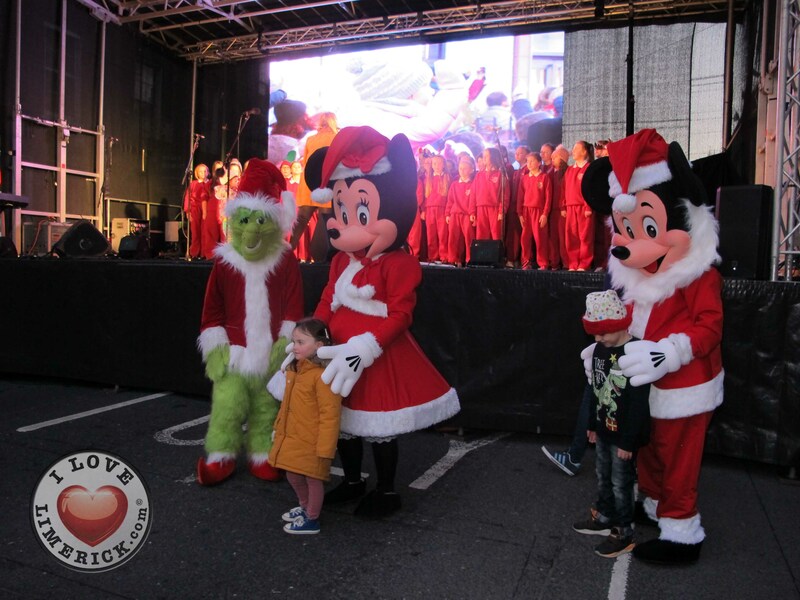 They were also joined by Santa Claus and the Elves from the North Pole to welcome Christmas in Limerick 2018. 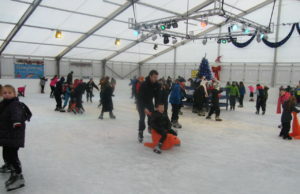 Performances began at 4:30 pm. 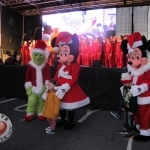 Entertaining the gathered residents of Limerick were street performers and special guests including the Corpus Christi School Choir, members of the Limerick Panto Society, Limerick Gospel Choir and Myles Breen from the Snow White panto at UCH. 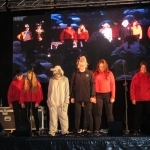 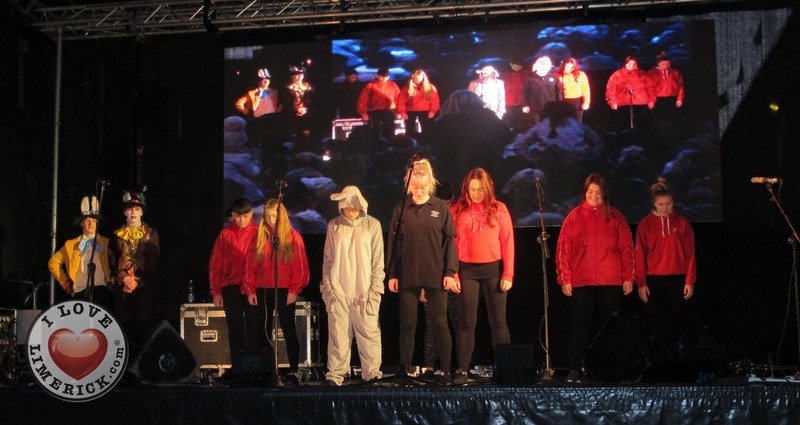 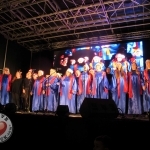 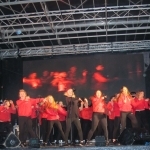 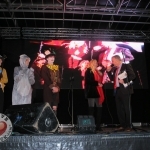 The performances were a build-up to the main event – the turning on of the lights. 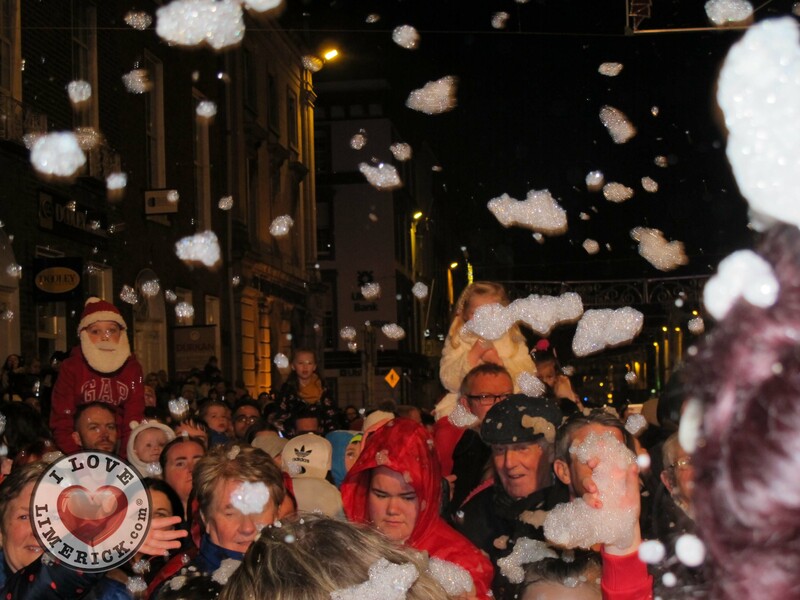 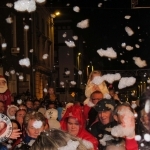 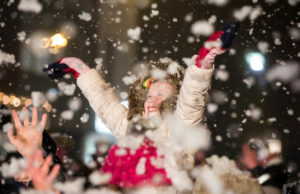 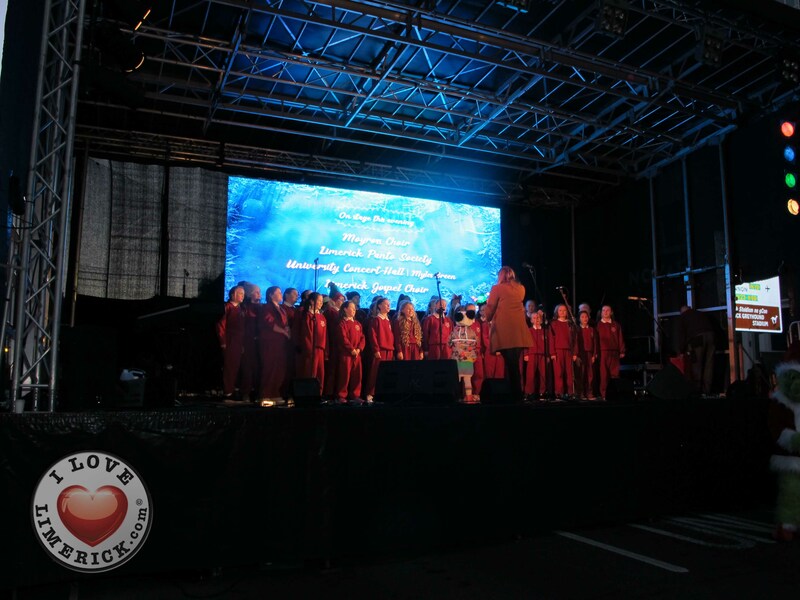 Those gathered were treated to a fireworks display while the snow machine ensured the children enjoyed the onset of Christmas in Limerick 2018. 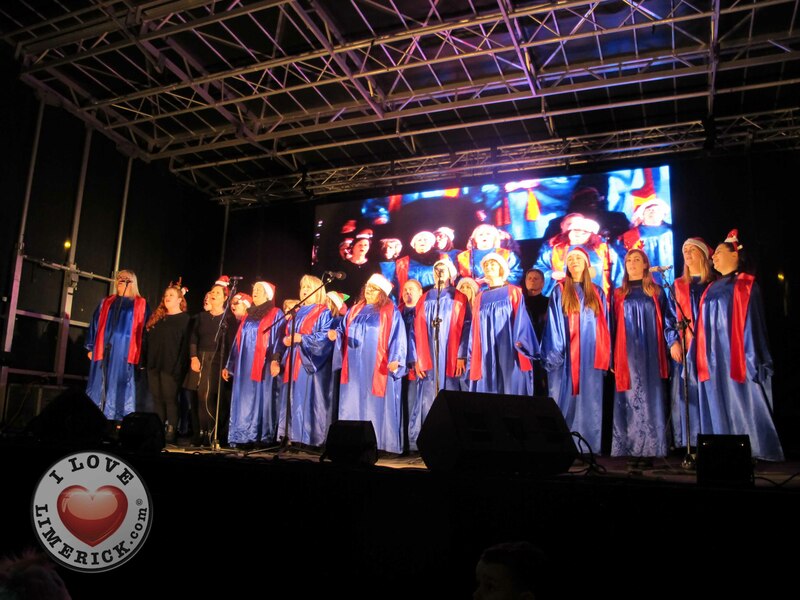 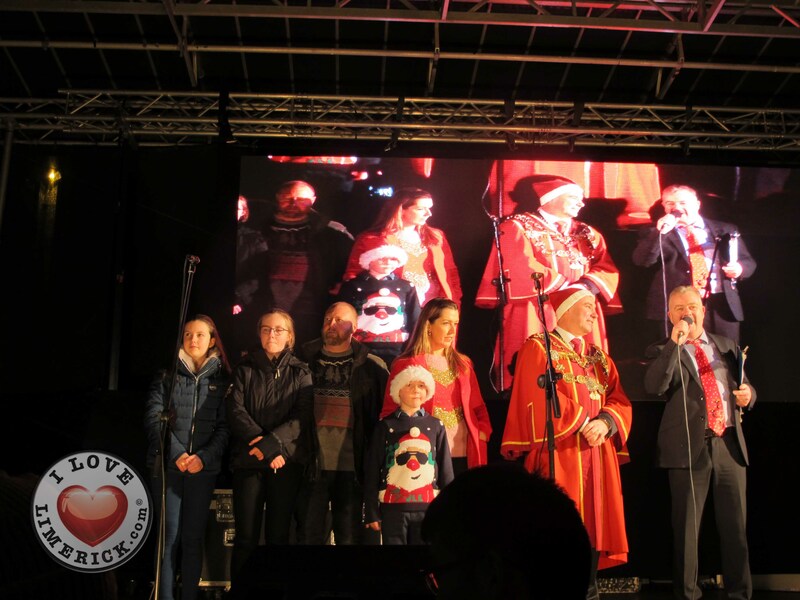 All present sang Christmas songs and gave a warm welcome to Christmas in Limerick 2018 while enjoying the spectacular display of LED Christmas lights across the city centre. 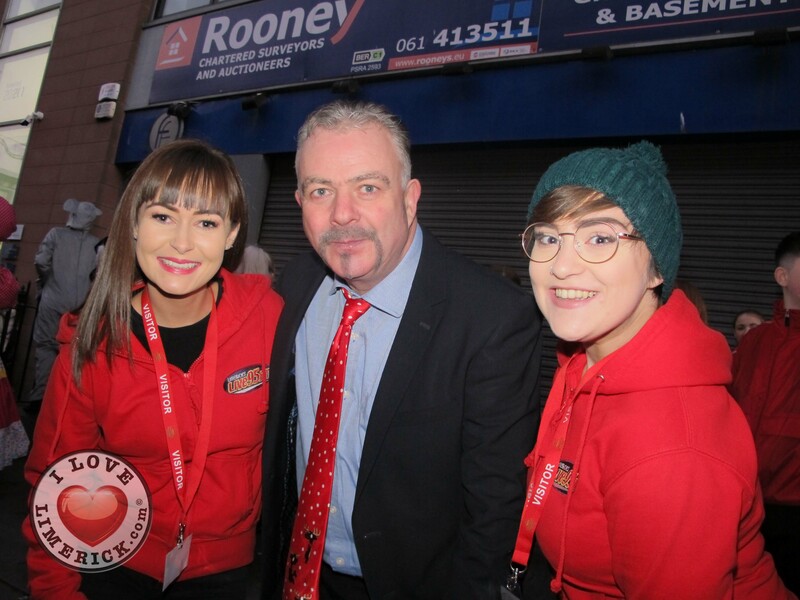 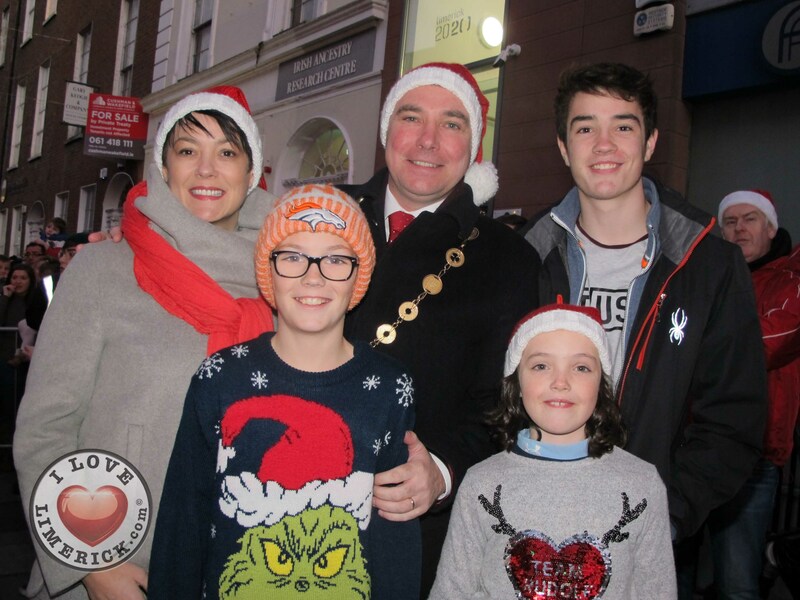 Earlier in the day the Liveable Limerick team presented their Charity Christmas Dash, during which O’Connell Street was taken over by Santa Clauses as they took part in a variety of races including the Mr & Mrs Claus’s three-legged race, a celebrity dash, wheelchair dash and sack race. 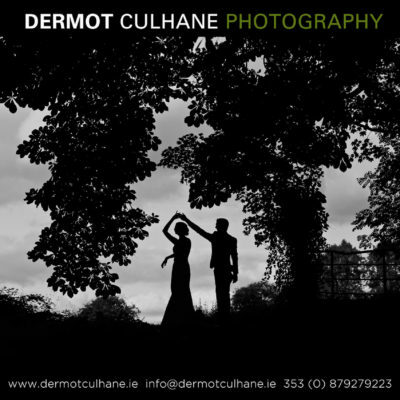 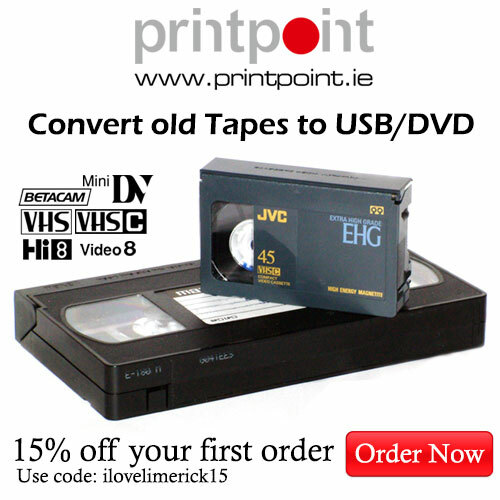 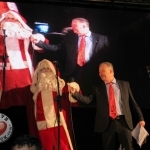 All proceeds went to Novas and the Peter McVerry Trust. 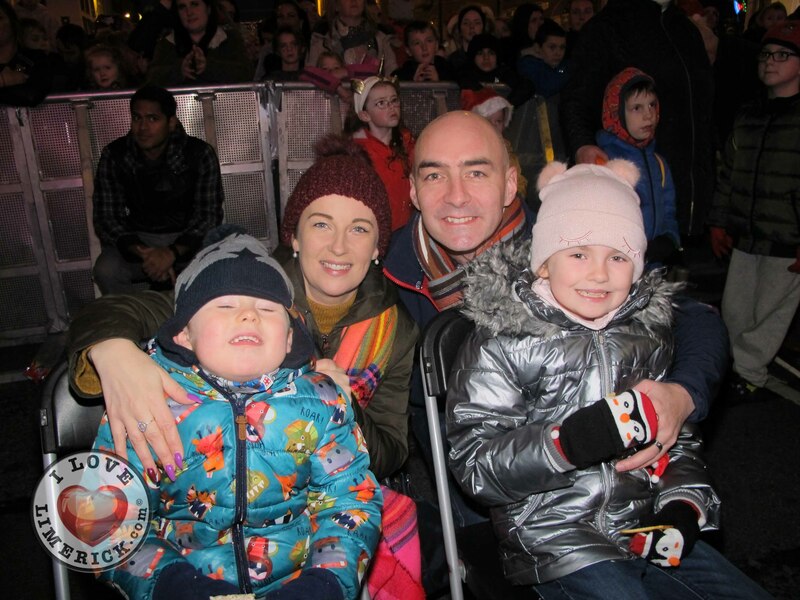 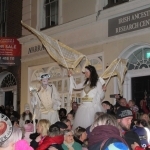 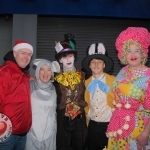 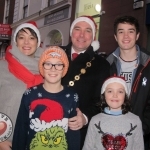 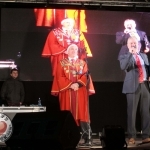 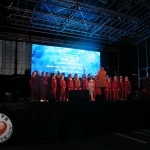 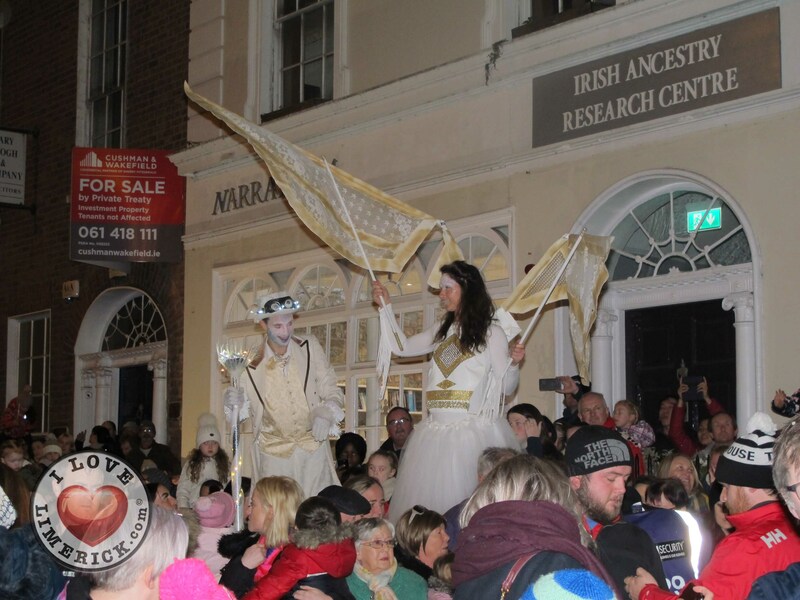 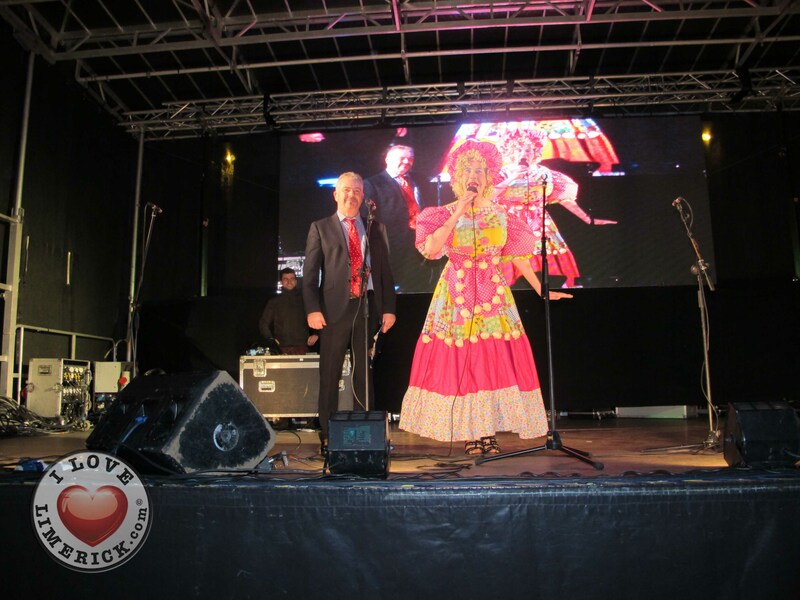 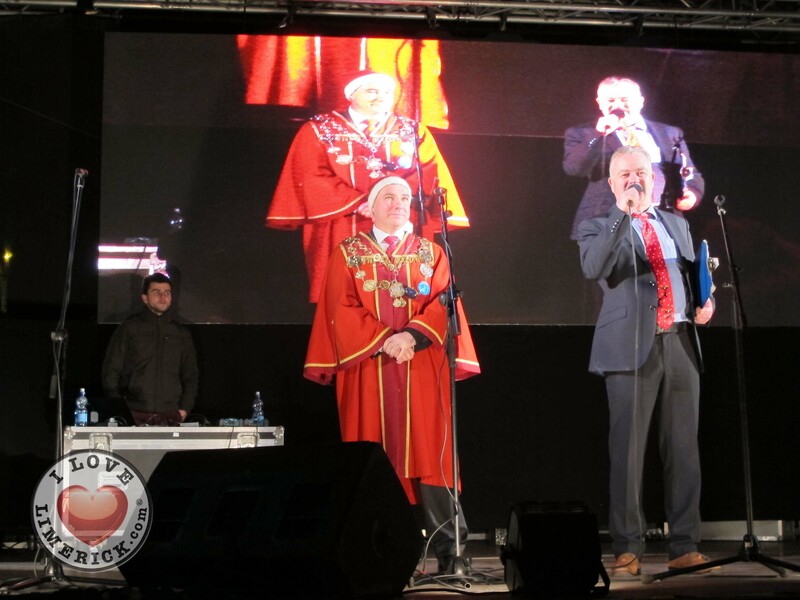 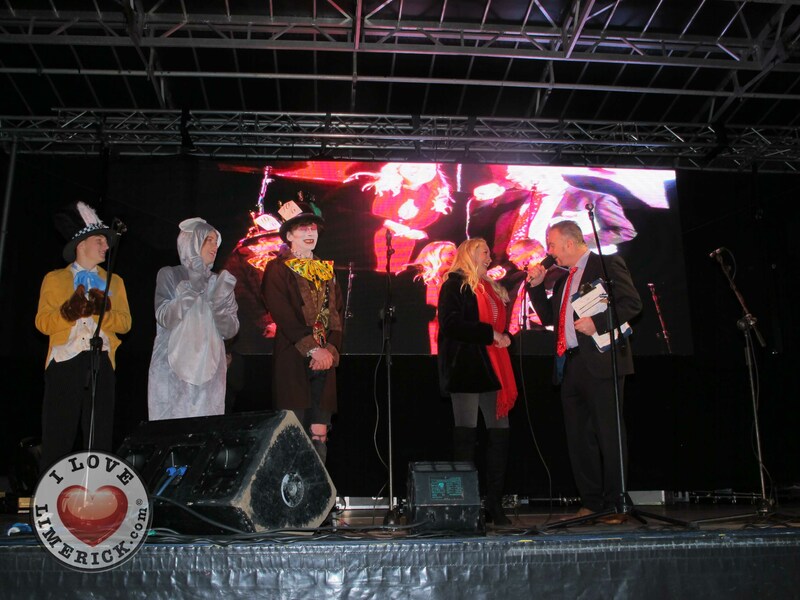 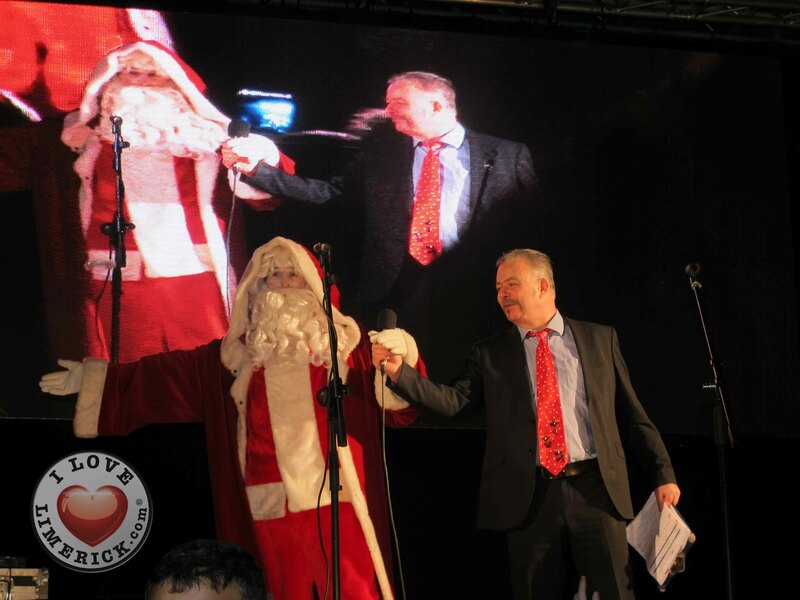 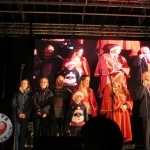 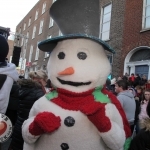 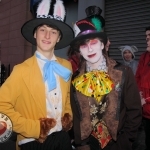 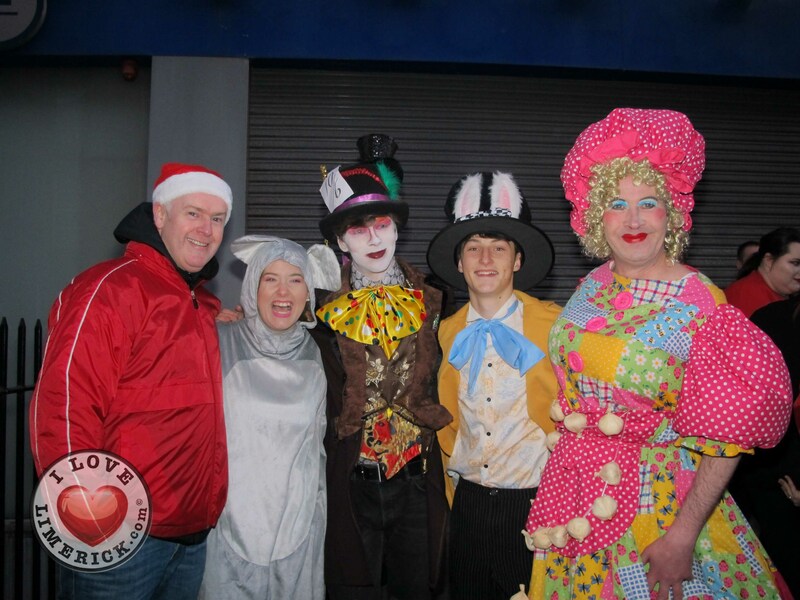 Mayor of the City and County of Limerick Cllr James Collins said: “Light Up Limerick in the heart of the city centre this evening was a fantastic family-friendly event full of the wonder and awe of what Christmas represents. I was delighted that Vicky and her family were my guests of honour. 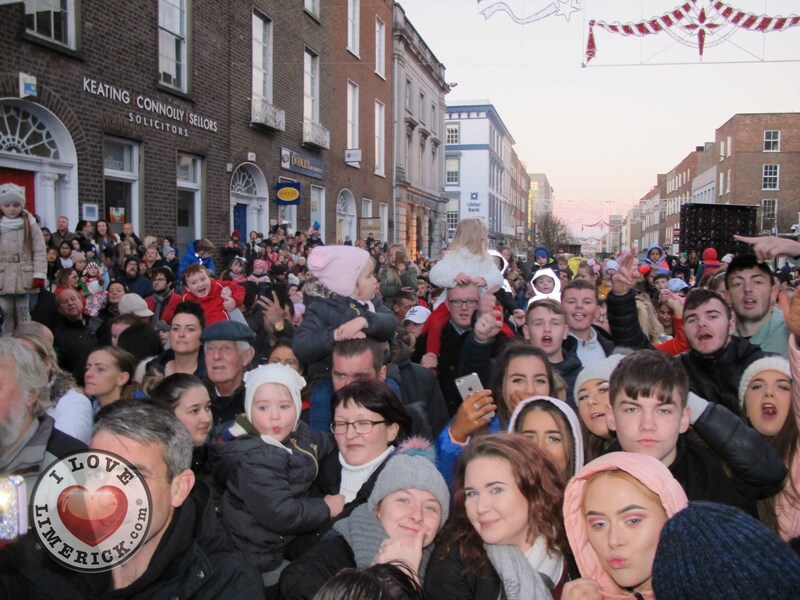 Her determination for justice has struck a chord with the people of Limerick and Ireland and this is a way we can show her our support. 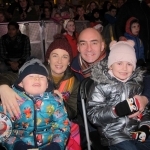 Special Guest of Honour for the evening was Vicky Phelan joined by her family. 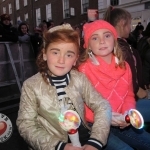 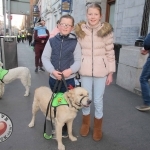 Vicky said she was very excited to be at Light Up Limerick ceremony this year: “The biggest reason for me to be excited was that I didn’t think I’d be here, to be honest, at the start of the year. 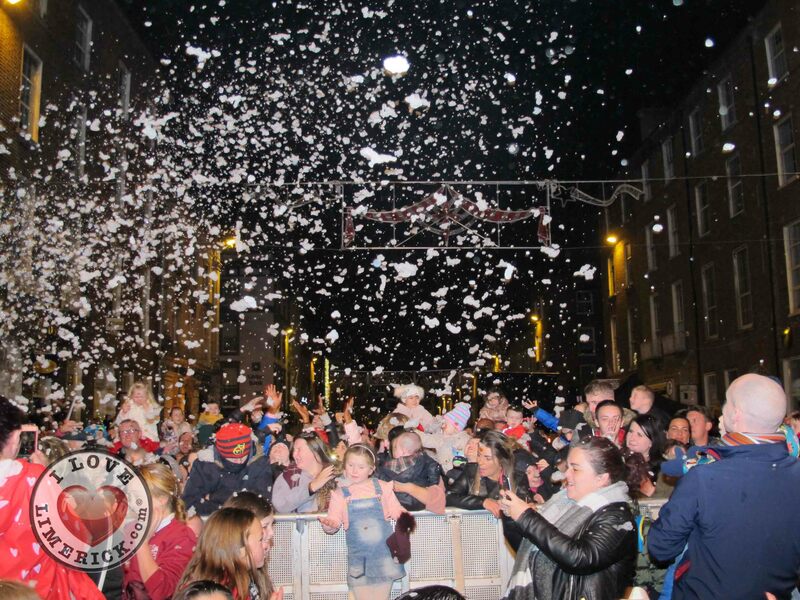 That’s what makes it all the more special for us this year. 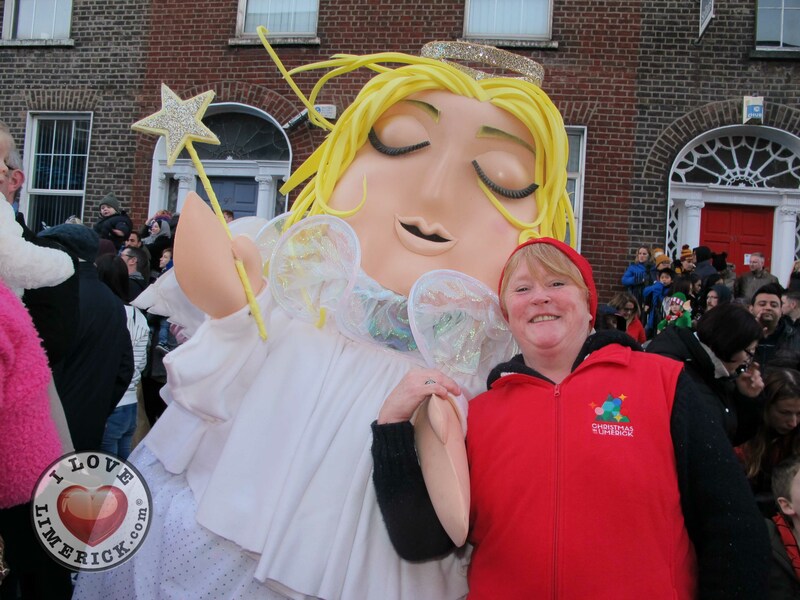 To be able to come into Light Up Limerick in the good of my health and no pain, it’s great, because, last Christmas I wasn’t really well at all. 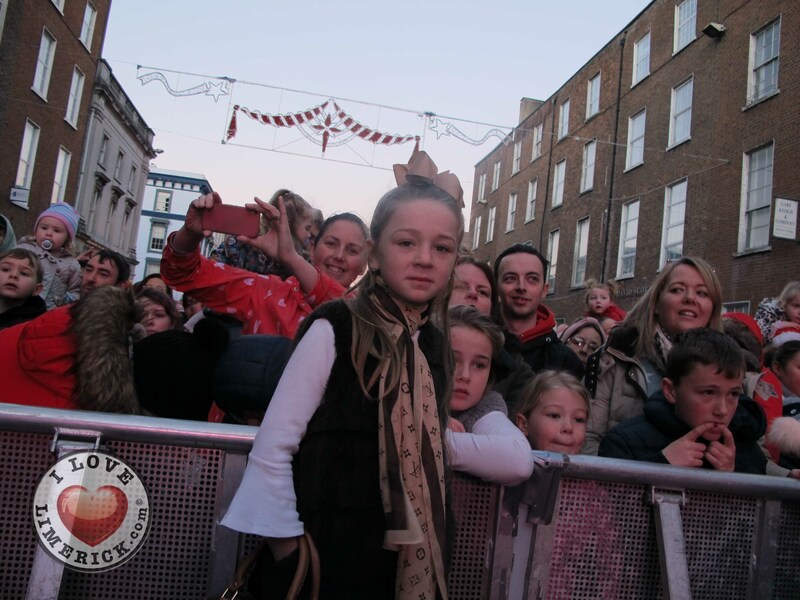 I’m revelling in it all, to see all the crowds here, the support on Twitter, I can’t believe how many people are here already. 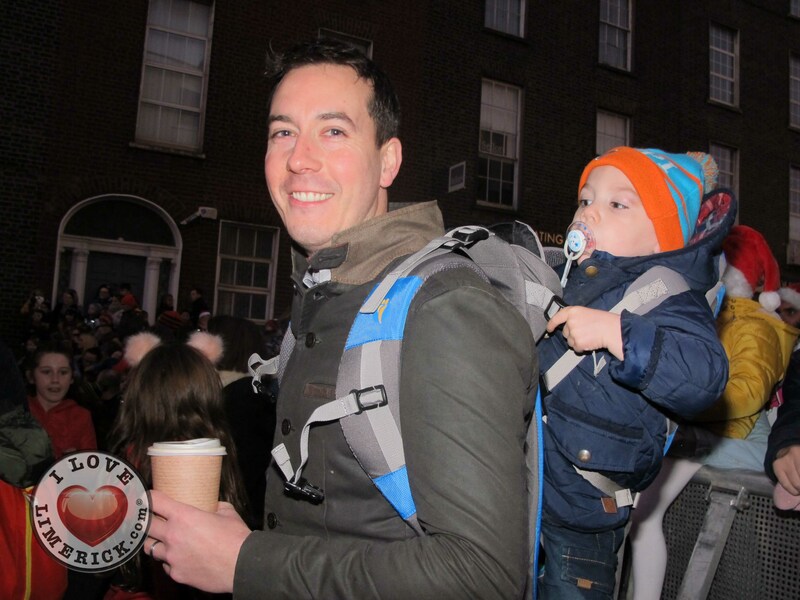 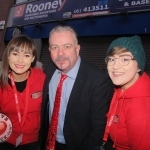 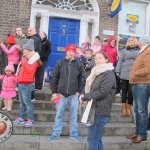 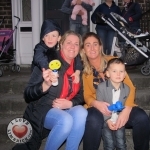 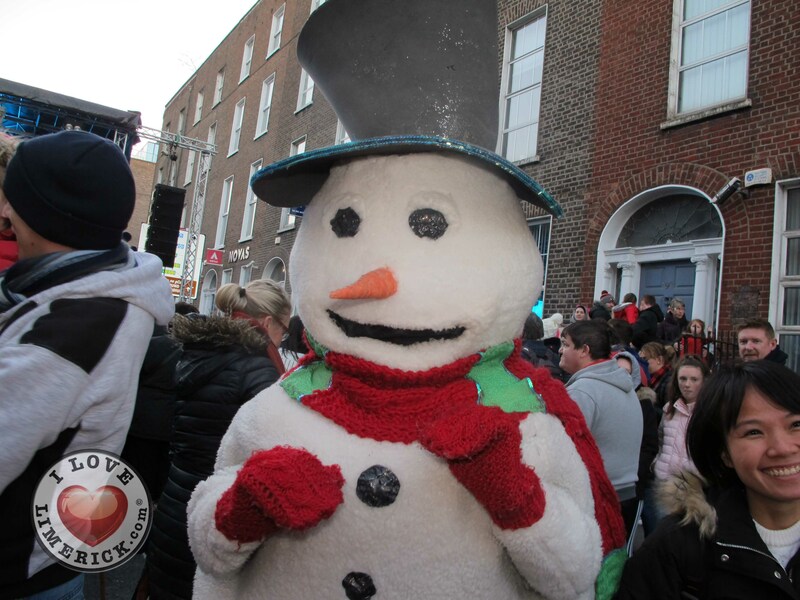 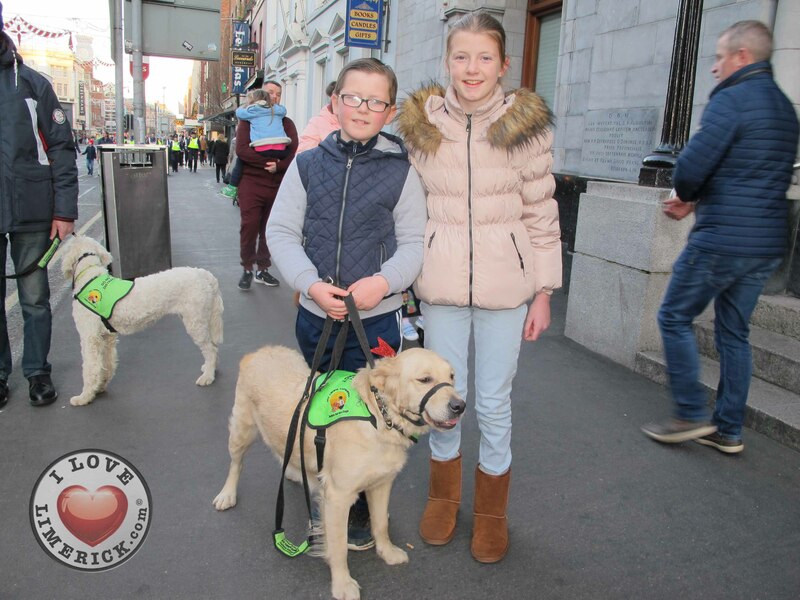 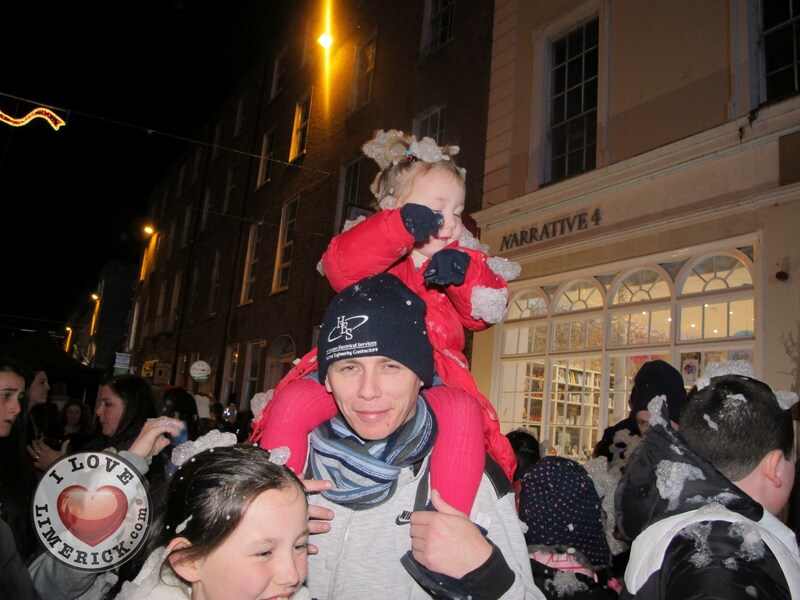 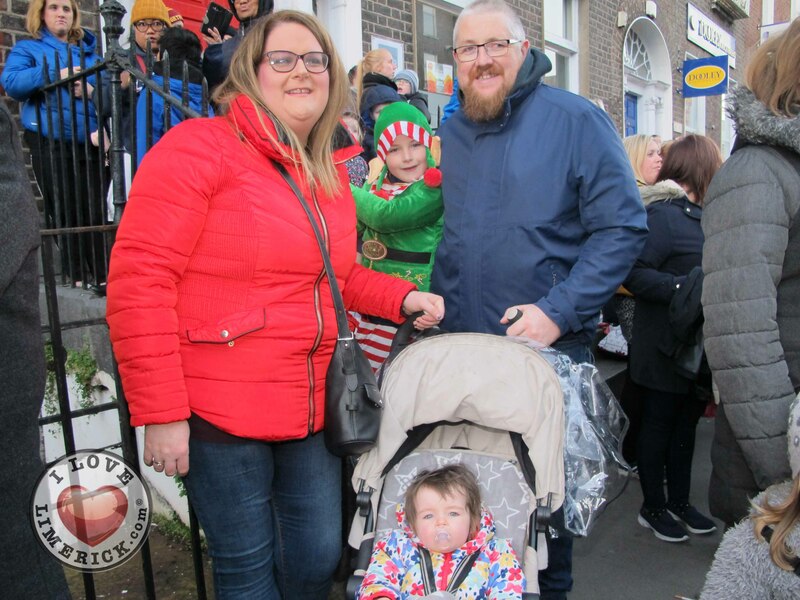 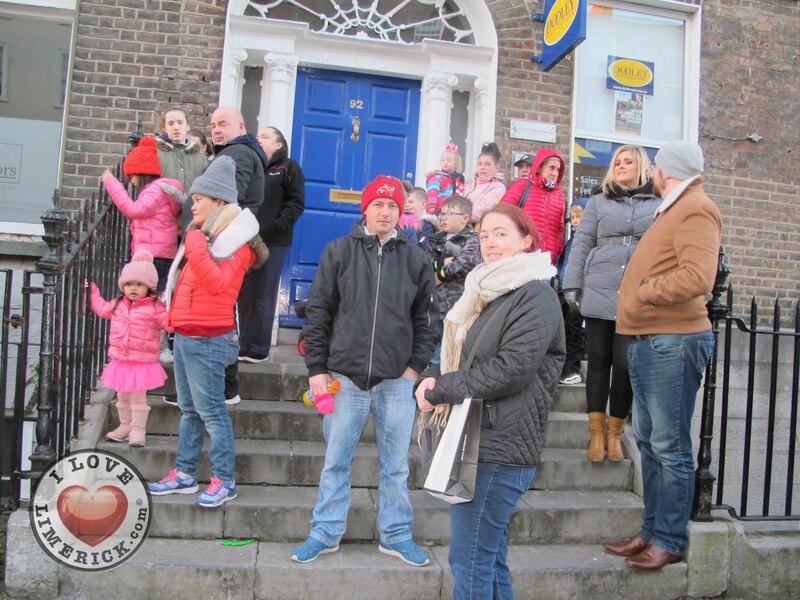 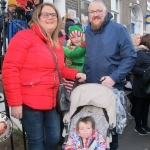 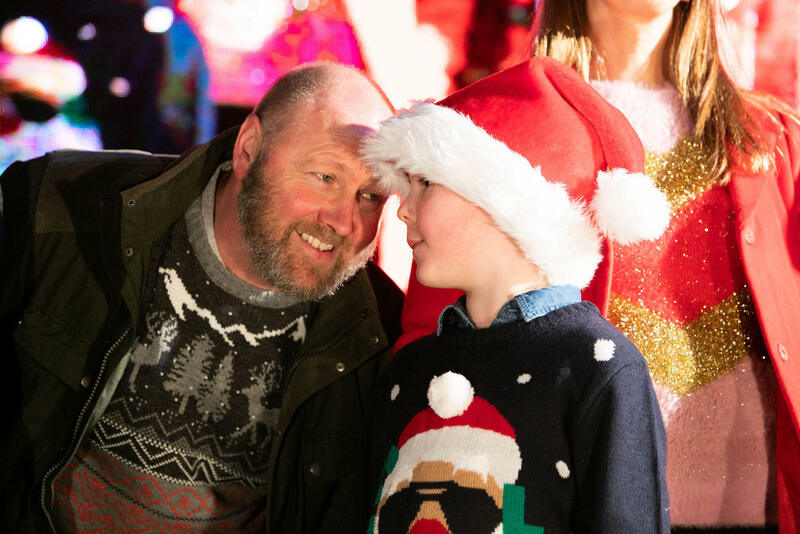 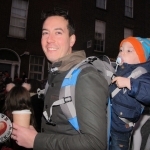 “My son Darragh has been looking forward to it since he found out we would be turning on the Christmas lights, we bought Christmas jumpers and hats. 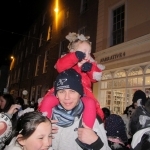 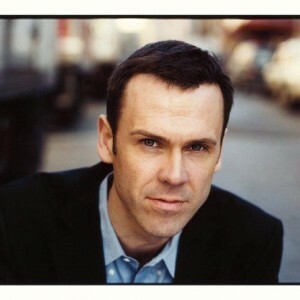 The plan is to have a lovely Christmas at home with family and friends,” she added. 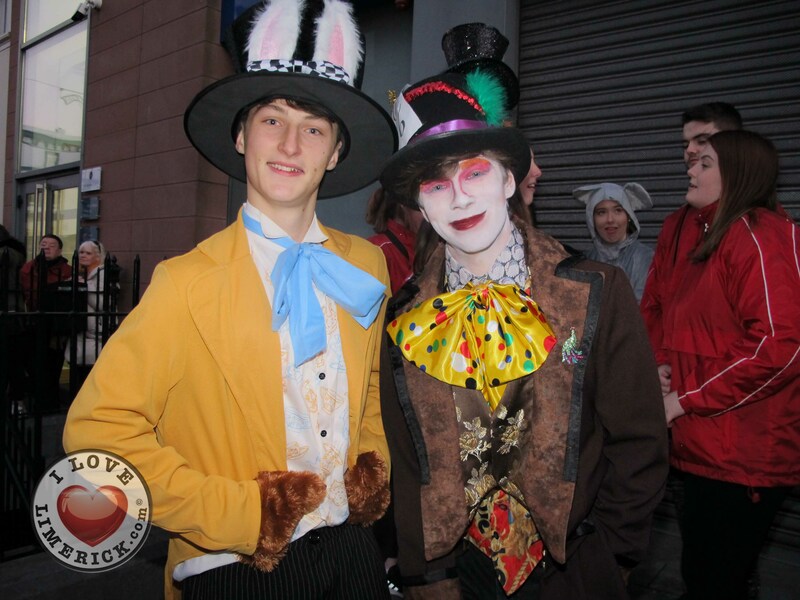 As always parking in the city centre is available on-street and on multi-storey car parks. 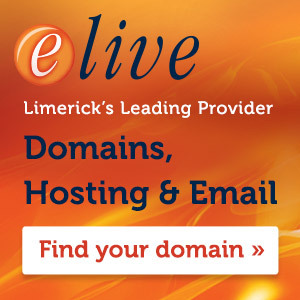 Download the Limerick e-parking app, or pay by phone or disc. 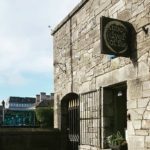 On-street car parking is free after 5.30pm daily and is always free on Sundays. 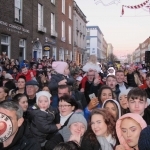 In Abbeyfeale, Kilmallock and Newcastle West, motorists will get an extra two hours free parking from 2.30pm daily from 07 until 31 December inclusive. 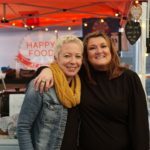 They already have their first hour free. 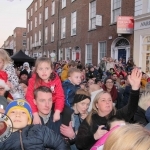 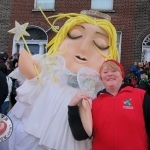 The Christmas in Limerick 2018 programme is being coordinated by Limerick City and County Council’s Culture & Arts Department and the Marketing & Communications Department. 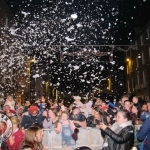 All details about what’s on in Christmas in Limerick 2018 will be available in the Christmas In Limerick 2018 brochure available from Sunday with 100,000 copies to be distributed across the mid-west. 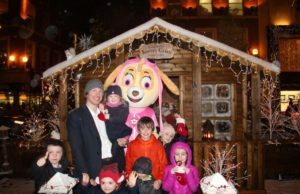 Limerick on Ice 2017 promises fun for all the family!